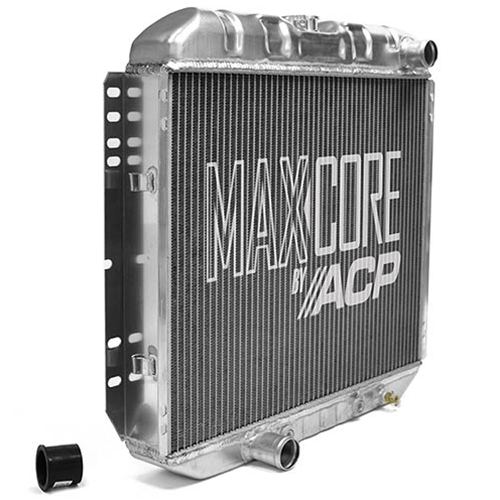 This new all-aluminum, high-performance, 2-row, MaxCore radiator features the classic look that captures the original appearance while improving performance, is a direct fit for the applications listed, and has an A/T cooler. 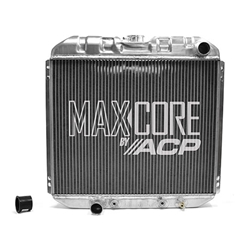 It has 1-1/4" tubes with 49 tubes per row and 16 fins per inch, for expanded flow and improved cooling, and is 100% tig-welded with a billet filler neck. NOTE: This item has a $10.00 boxing fee. NOTE: This is an oversized item. 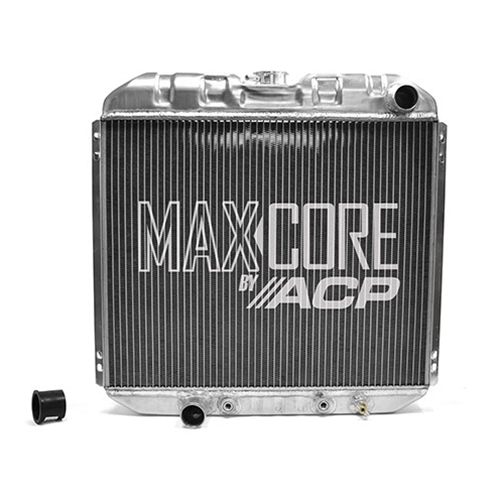 Additional shipping charges will apply.